Home to the world’s 13th and 16th largest economies respectively, Australia and Indonesia are two economic powerhouses that may share more differences than similarities at first glance. Indeed, Australia is known for its laid-back business attitudes, whilst Indonesia is one of South Asia’s most important economies with growth fueled by entrepreneurship and a significant working class. However, these close neighbors have more in common than what appears on the surface, and both offer foreign investors significant trade and market opportunities. With the Indonesia-Australia Comprehensive Economic Partnership Agreement officially signed in March 2019, relations between the two countries are strengthening. Savvy investors and entrepreneurs should act fast if they want to capitalize on the growing opportunities in these two formidable economies. We explore the trade opportunities between Australia and Indonesia in two parts. Read our overview of the relationship between these two countries, and check out our deep-dive into the future of Australia-Indonesia trade relations. In 2015-16, Indonesia was Australia’s 13th biggest trading partner, trailing behind smaller nations such as New Zealand. Figures suggest that 12,000 Australian businesses have invested in New Zealand compared to just 300 in Indonesia. This figure highlights the stark under-development between the two trading partners – due in part to geographic separation – and signals major opportunities for Australian and Indonesian firms looking to tap into a bustling market. With trade growth in Australia slowing or declining in some cases, developing stronger ties with new markets will serve Australian businesses and individuals well, and Indonesia is a primary target. Indonesian Australian trade has previously faced challenges due to bureaucratic red tape and corruption. 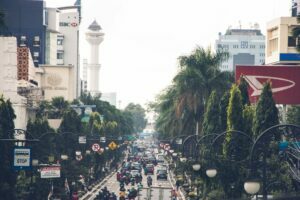 Whilst entering into the Indonesian market as an Australian company may offer a competitive advantage right now, there are challenges that businesses face when investing in the country. Indonesia is known for its self-sufficiency, and as such businesses are encouraged to produce goods and services domestically to reduce imports. As a further incentive for this, the country has tariffs and measures in place to discourage imports from foreign countries. As an Australian entrepreneur, such tariffs can add complexity to investment and require an experienced lawyer to navigate the red tape. In addition, there are several licensing restrictions that are applied to goods. As permits are often seasonal or unpredictable, incorporating a business in the country that relies on imports from Australia or further afield can add some real challenges to business, dissuading Australian corporations from investing. Indonesia’s weak law and institutions and the high levels of corruption in senior positions can reduce investment appeal. The number of perceived and actual opportunities to firms drops in this environment, and costs increase when incorporating and expanding, particularly in sensitive or highly competitive niches where locals will likely want a share of the market. 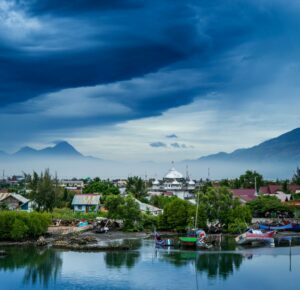 However, Indonesia is set to grow from the 16th largest economy in the world to the 10th by 2030, and the fourth largest by 2050. The potential return on investment for Australian firms is therefore too lucrative to ignore, and waiting too long will likely see competition increase on a local and international level. Early entry and expansion is therefore highly recommended. In addition, expanding into Indonesia affords Australian businesses a gateway into the Asian market, which has a population of 4.5 billion (60% of the world’s population) and a combined GDP of $28.23 trillion and annual GDP growth of 5.7% per year, offering major advantages. Indonesian firms looking to expand into Australia, on the other hand, can enjoy access to a GDP worth more than US$1.323 trillion, and a GDP per capita of US$53,799.94. In addition, Australia imports more than US$199 billion worth of goods into the country every year, offering Indonesian firms significant opportunities, particularly in the manufacturing sector. Indonesia-Australia trade agreements allow for massive flows of duty-free goods across the two borders. Australia and Indonesia are already a part of the ASEAN-Australia-New Zealand Free Trade Agreement (AANZFTA), which offers extensive tariff reductions, regional rules of origin to offer Australian exporters the ability to tap into overseas supply chains, and increased legal protections for businesses when expanding into ASEAN territories. However, the two nations have been working to negotiate a bilateral trade agreement that offers additional protections and tariff reductions at both borders, helping businesses on both sides of the Timor Sea. Two-way trade between the two was previously worth more than $16.8 billion in 2017-18. on 4 March 2019, the two countries signed the Indonesia-Australia Comprehensive Economic Partnership Agreement (IA-CEPA). The IA-CEPA trade agreement is expected to serve as a catalyst for further growth. It will provide both Australian and Indonesian businesses with a chance to expand and diversify their economic relations, affording new opportunities and encouraging increased trade. As well as reducing non-tariff barriers and simplifying the paperwork required to import and export goods and services, the IA-CEPA allows 99% of Australia’s produce exports to enter Indonesia duty-free or with “significantly improved preferential arrangements.” Furthermore, all of Indonesia’s goods exports will be duty-free when entering Australia, offering benefits for businesses looking to manufacture goods and services in Indonesia to export to Australia. Significant trade opportunities await businesses operating in agriculture, elaborately transformed manufactures, timber, finance, healthcare, the environment, education, tourism, mining, and technology. The key to maximizing on growth is to act quickly, adopt the business culture and etiquettes of Australia and Indonesia, and forge new ties with businesses outside of your home country. In order to maximize your return on investment and ensure the longevity of your organization in Australia or Indonesia, it’s critical to embrace the trade opportunities in front of you. As these two nations grow, international competitors will swallow business, making expansion difficult. In the second part of this two-part special, we’ll explore in detail some of the biggest trade opportunities that await businesses in Indonesia and Australia, and take a closer look at the markets and sectors where the IA-CEPA and improved bilateral relations will take your firm. Find out more! Read Part Two of our Indonesian/Australian Trade Opportunities feature. Biz Latin Hub has now expanded to Asia and Australasia, providing a wide range of back-office support services to enable your growth and expansion into new markets worldwide. Find out more about our commercial representation, company formation, accounting, legal, and recruitment services, contact the team today at [email protected]. Our local business experts will get back to you with a personalized strategy to ensure your commercial success.